The Building Owners & Managers Association of Greater New York (BOMA New York) hosted its 2018 Annual Membership Event at 230 Fifth Avenue Rooftop. 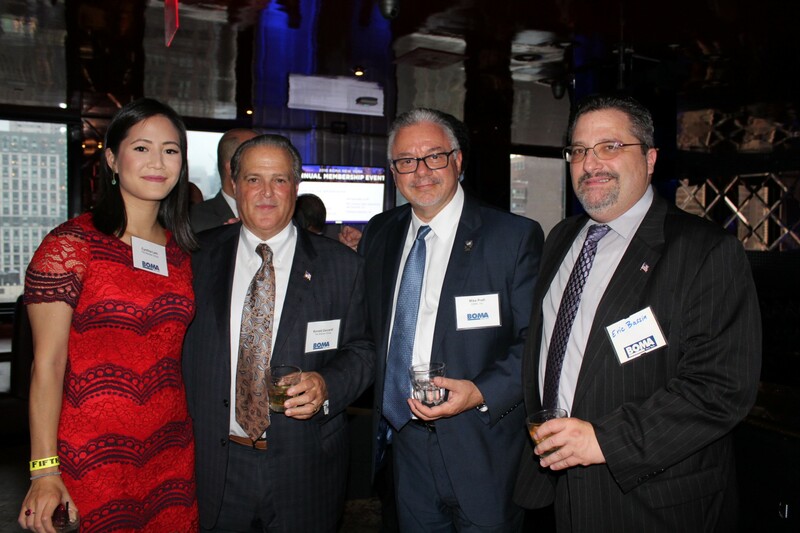 Hosted by BOMA New York’s Allied and Professional Members, the event has been a member favorite for years, according to president Ron Zeccardi. “The night was full of stimulating conversation, laughter and networking among top industry professionals. It was great to see familiar faces and welcome new members who have joined over the past year.” Event raffle sponsors included Captivate LLC, Collins Building Services Inc., Donnelly Mechanical Corporation, Environmental Building Solutions LLC, KM Associates of NY, NYC Cooling Tower Inspections & Services LLC and Pritchard Industries Inc.